WHITE ROCK, BC / ACCESSWIRE / December 13, 2018 / Orsu Metals Corporation (TSX-V: OSU) ("Orsu" or the "Company") is pleased to announce final assay results for Zone 23 and the start of resource estimation work at its Sergeevskoe Gold Project in Russia. 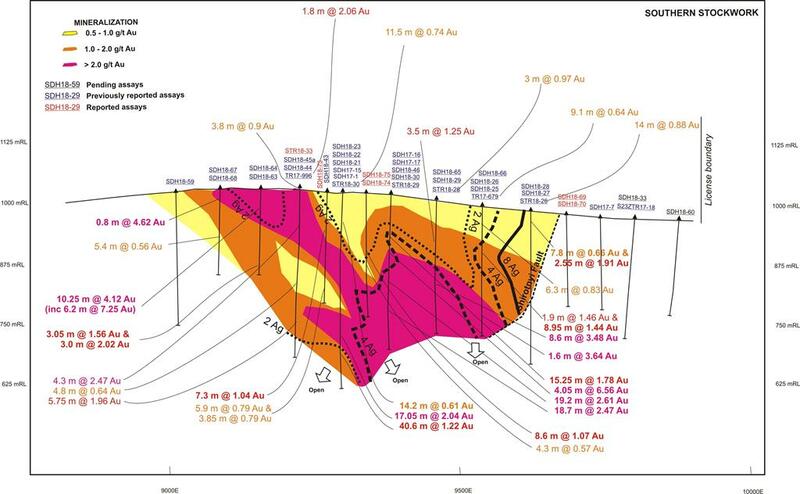 1.55 g/t Au over 6.3 m from 143.8 m in drillhole SDH18-75. 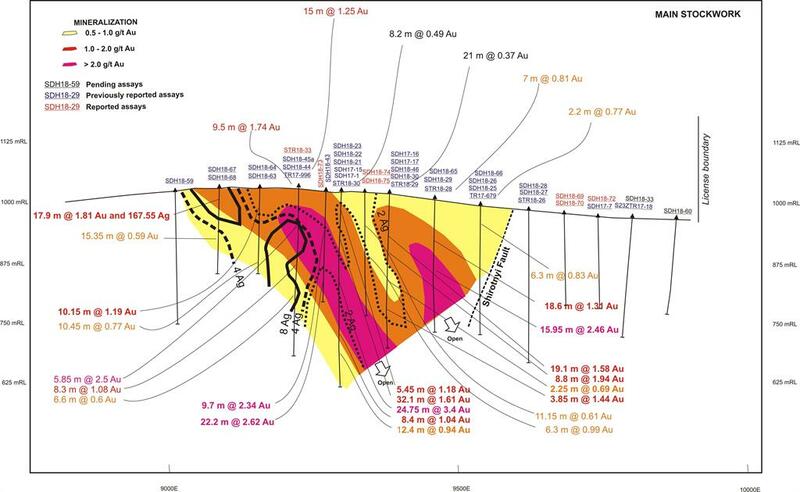 Dr. Alexander Yakubchuk, Director of Exploration of Orsu commented: "The final batch of assays from 2018 drillholes helped to better constrain the eastern part of Zone 23, which can be now traced for 900 m from the west to the east, where it merges with gold mineralization of Adit 5. 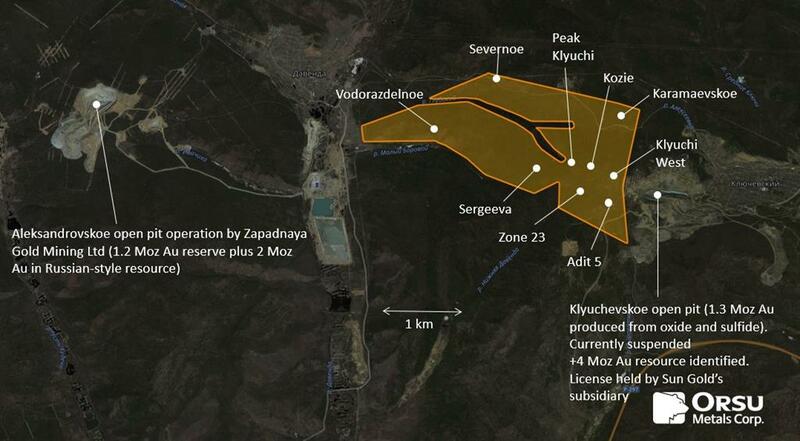 Along with the previously reported 750 m long stockwork at Kozie-Klyuchi West, a maiden resource will be estimated for all four mineralized clusters to a depth of drilling within 1 sq km of the 7.6 sq km Sergeevskoe license area where Orsu so far undertook all exploration works". 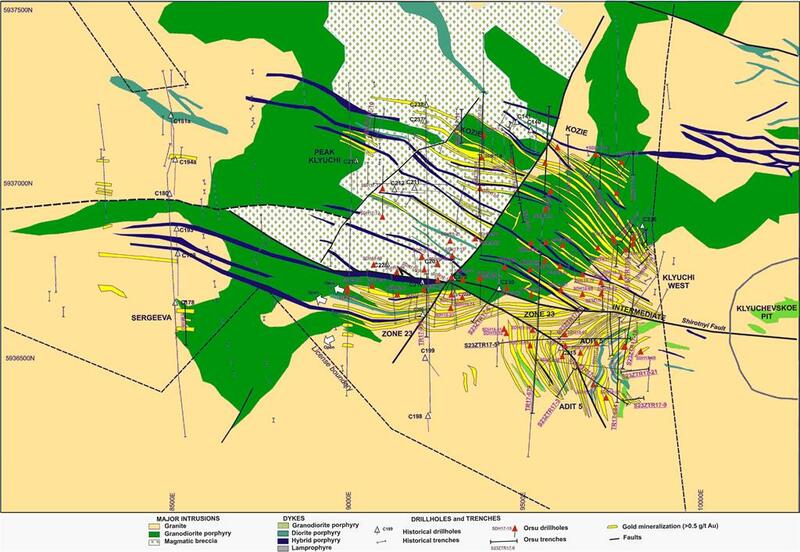 Dr. Sergey Kurzin, the Executive Chairman of the Company, noted: "In September 2018, due to the positive results obtained Orsu decided to expand the 2018 exploration campaign, which ultimately reached a total of 13,463.8 meters drilled in order to more precisely delineate the four exploration targets. I am pleased that our exploration team together with our consultant Wardell Armstrong International has started the maiden resource estimation work, which we expect to complete in January 2019, followed by a preliminary economic assessment in March-April 2019 pending metallurgical test results". Drillcore and channel samples were submitted directly to the ALS Limited laboratories in Chita, Russia, which are independent from Orsu, for sample preparation and analysis. Analysis for gold is performed using fire assay method with atomic absorption ("AA") finish and with a gravimetric finish for samples exceeding 10 g/t Au. Results published are from the gravimetric finish if above 10 g/t Au and from the AA finish if lower than 10 g/t Au.